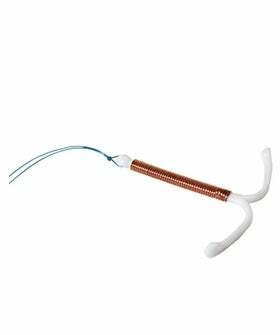 The IUD, an intrauterine device, is one of the most effective forms of birth control a woman can use — it's implanted, usually preventing pregnancy from five to ten years without needing to be replaced. And, while it doesn't protect against STIs, it can go a long way in helping to prevent unwanted pregnancy. This could all change: With the Affordable Care Act covering women's reproductive healthcare and providing information on choices, will more women opt for this long-term solution? According to a study by Dr. Jeffrey Peipert, a professor of obstetrics and gynecology at Washington University in St. Louis, the answer is yes. He conducted a study with some 9,000 teenagers and women, ages 14 to 45. Researchers educated the women about their choices, the drawbacks and benefits to many types of birth control, and helped them pay for whatever option they chose. The results? An astounding 58% of women in the study chose the IUD — this is compared with the 5.8% of women in the U.S. who actually use IUDs as their primary birth control. In the past, IUDs have been marketed towards women who have had one child, but new info reveals that they're just as safe for women who have never had children.